So, your 60th birthday is almost here. Congratulations! You’ve already accomplished so much in your life – and you’re just getting started! At the same time, it’s natural to feel a bit apprehensive as you approach this important milestone. I know I did. It’s not so much that we fear getting old. Instead, turning 60 forces us to stop and evaluate our lives. For many, this milestone feels like the point where our past, present and future meet. From this respect, turning 60 can be a positive or a negative experience. It can be an opportunity to ask yourself important questions and plan for the future. Or, it can be an excuse to lament the past and worry about what may happen to you in the decades ahead. I don’t know about you, but, the first option seems much better to me. So, to help you get the most from your 60th birthday, here are 6 questions to ask yourself. I hope they help you to paint a picture of your future in bright, positive colors. Who Do I Want in My Life As I Continue My Journey? For most of our lives, the friendships that we make and the acquaintances that we meet are “accidental.” Our kids are a constant source of new people, for better or worse. Many of our work contacts also become friends. Then, as we reach our 60s, our social circumstances start to change. Our kids have left the house. Our careers shift and our friends start to retire. Many of us will be forced to deal with a divorce or loss of a spouse. Finding friends after 60 requires a completely different approach. Unlike at other times in your life, people are not going to come to you. If you want to build meaningful friendships, you need to get out into the world and explore. So, on your 60th birthday, think about the people that you want to have in your life. What passions do you want them to share? What positive traits do you want them to have? Perhaps most importantly, where do you need to go to find them? What Am I Going to Do to Get in the Best Shape of My Life? I don’t want to sound overly dramatic, but, the way that you treat your body in your 60s will determine, to a large extent, whether the rest of your life is miraculous or miserable. As the founder of Sixty and Me, a community of over 100,000 women over 60, I have seen firsthand where you will be 10-20 years from now. Based on my conversations with these women, I can predict that, when you reach your 70s, the two things you will wish you invested in are your wallet and your waistline. Don’t wait to get started. Find a sport that you love. Use an egg-timer force yourself to sit less (seriously, it works!) Use the “one-minute rule” to trick yourself into getting in the best shape of your life. Try gentle yoga. Whatever you do, get moving! You probably aren’t ready for “retirement,” but, that doesn’t mean that you need to stay put between now and then. There are several reasons to consider moving to a new location in your 60s. For starters, the place that you choose to live can have a big impact on your ability to save for retirement. With your kids out of the house, you may find yourself with more flexibility to move to a state that leaves you with more money in your pocket every month. This article has a list of 10 best states for retirement. Another option, now that your social situation may be changing, is to downsize. Maybe people think about “downsizing in retirement,” but, there is no reason to wait. If you think that living in a smaller house or apartment fits your lifestyle, go for it! Where you live after 60 should be a decision, not a default. So, take the time to decide what location will give you the financial security, lifestyle and happiness that you deserve. This is a big question. In fact, it’s so big that I hesitated before adding it here. For so much of our lives we live for other people. We sacrifice for our children, help our friends and support our bosses. With so many people crying for our attention, it’s difficult to find the time to think about what we really want from our lives. As we reach our 60s, we finally start to have some time to take a step back and think about our place in the world. Most of us are still super busy, so, answering this question will take time and effort. It’s worth it. It’s popular to say that “life starts at 60.” It’s probably more accurate to say “life can start at 60.” Whether you continue to do what you have always done, or choose to chart a new course, it a choice that only you can make. When Am I Going to Start Pursuing My Passions? What passions and experiences have you put on the backburner, while you were busy looking after other people? Isn’t it time to turn up the heat and let your passions burn brightly again. One of the best things about turning 60 is that finally know yourself. You’ve had your share of emotional bruises. You’ve known success and failure, happiness and anxiety. You may not have the financial resources to dedicate 100% of your time to your passions. But, that’s no reason not to get started. Turning 60 gives you the opportunity to think like a 5-year-old again. 5-year-olds don’t ask for permission to follow their dreams. They ask for forgiveness, not permission. Isn’t it time that you started doing the same when it comes to the things that make you happy? How Do I Want to Change the World in the Next 60 Years? Giving back to yourself and following your passions is a key to happiness after 60. Equally important is how you choose to give back to the world. How will you make the world a better place in the coming decades? Will you become a mentor to kids and use your wisdom and experience to shape their lives? Or, will you commit yourself to a political cause that you believe in? So, happy 60th birthday! 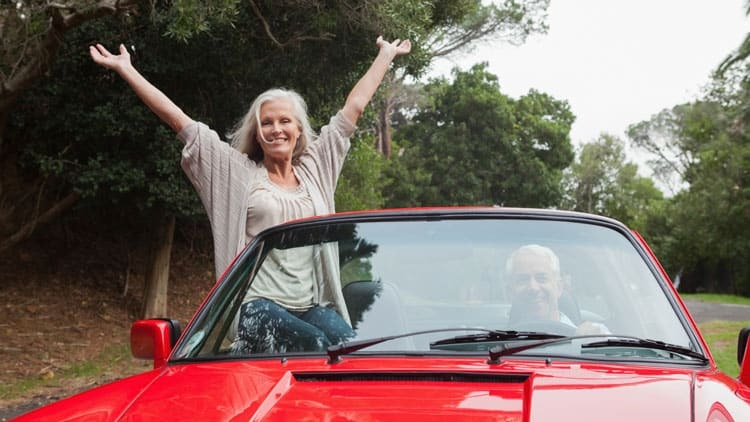 You’re now a part of an exclusive club of people that are saying “no” to aging stereotypes and “yes” to living with passion, integrity and generosity in their 60s and beyond. I hope that the next 60 years of your life are even better than the first. Are you turning 60 this year? How do you plan on celebrating? Do you agree or disagree with the questions in this article? Please join the conversation.